"Someone is not following the script. And his idea of fun… is murder!" 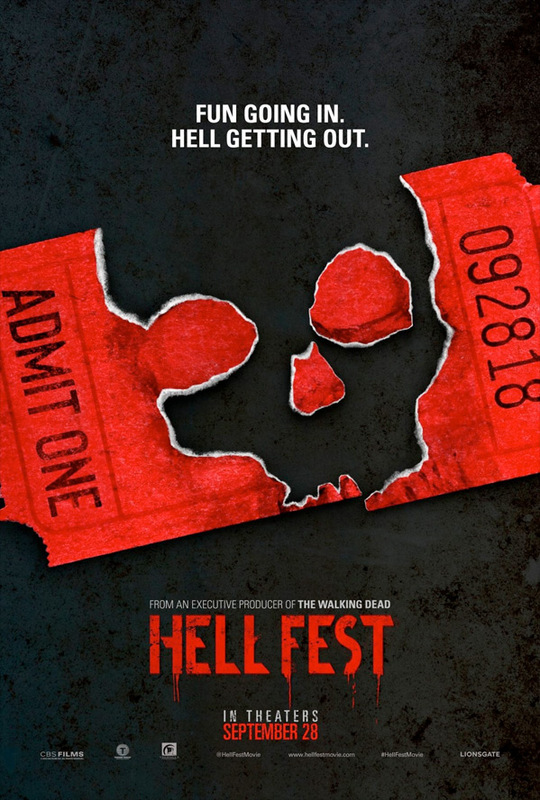 CBS Films has launched a fantastic retro 80s trailer for horror movie Hell Fest, about a horror theme park that becomes a killing playground for a masked serial killer. We see plenty of vintage trailers every year, but this one is spot on perfect. The voiceover is amazing and the old logos are cool. "A terrifying thrill ride from iconic horror producer Gale Anne Hurd and director Gregory Plotkin (Paranormal Activity: The Ghost Dimension), this September audiences will discover that it's fun going in… but it's hell getting out." This stars Amy Forsyth, Reign Edwards, Bex Taylor-Klaus, Christian James, Roby Attal, and Matt Mercurio. Arriving in theaters at the end of this month so everyone has all of October to go watch this. "This carnival is NOT for children." 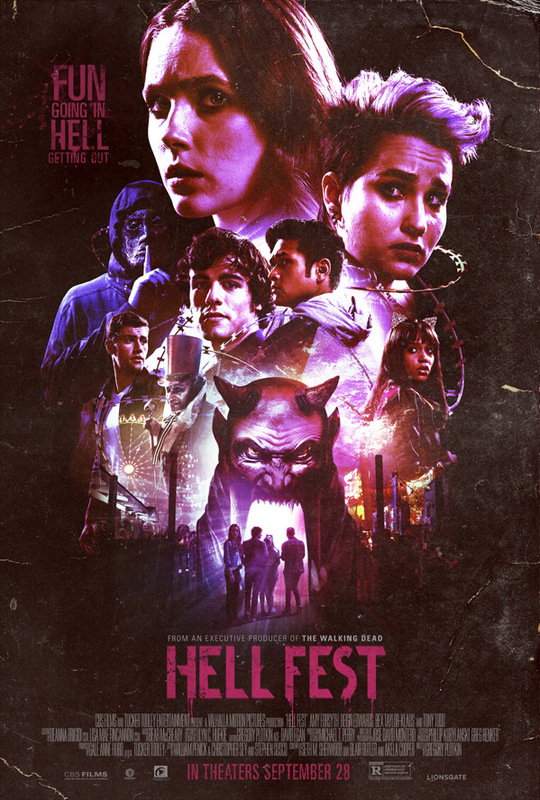 You can still watch the original teaser trailer for Plotkin's Hell Fest here, or the full red band trailer here.